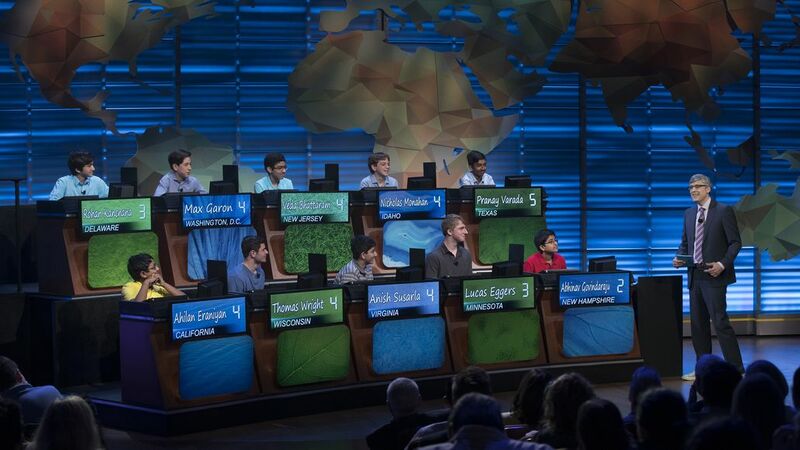 We were proud to be involved in the 5th consecutive year of the National Geographic Geography Bee. Hosted at National Geographic headquarters in Washington, D.C. ten remarkable finalists battled through to a tense final round that included several lead changes and a nail biting finale. You can see the action yourself on the National Geographic Channel and Nat Geo WILD at 8 p.m. ET/PT on Friday, May 27. The bee was founded in 1989 to improve geographic literacy among students. “Geography is about more than places on our map, it’s about the interconnection of our world,” said National Geographic Society President and CEO Gary Knell before the final rounds began. He pointed to a recent survey that found three of four American eighth graders lack basic proficiency in the subject.